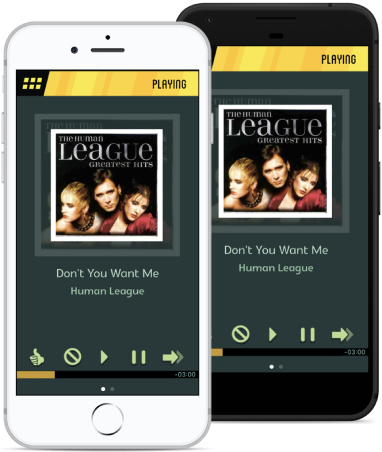 With three powerful apps, Jukeboxy is more than a music for business player. What Does Your Music Say About Your Business? 40 Million fully licensed songs and advanced, practical features. Here at Jukeboxy, we know that great music is a key element customers look for. 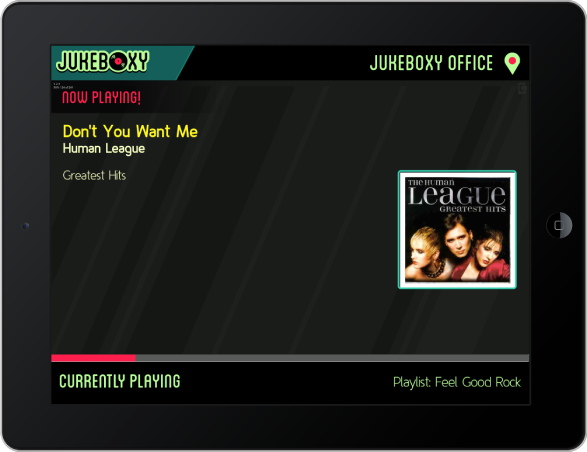 Jukeboxy provides a huge music library and powerful tools that can’t be found anywhere else. Easy set up, easy to use, free to try, and a lot of brand value to gain for virtually any business that plays music for their customers. Manage the music in your business with a smartphone, tablet, or computer. Our Manager App empowers you to control your venue’s music from anywhere, at any time. 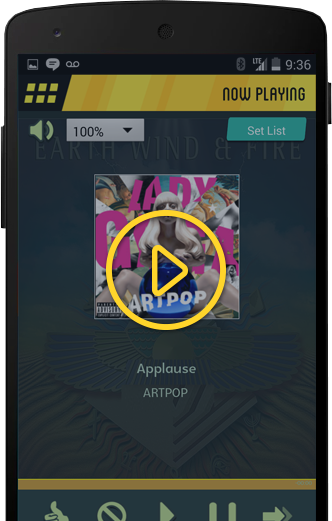 You can change playlists, create your own playlists, skip, like or exclude songs remotely. Have multi-locations? No problem! You will be able to access all your venues under this one simple-to-use app. Install Jukeboxy player on your current device; any IOS & Android device including Ipod, Amazon Fire tablets or PC/MAC computers. Our player is designed for continuous play. 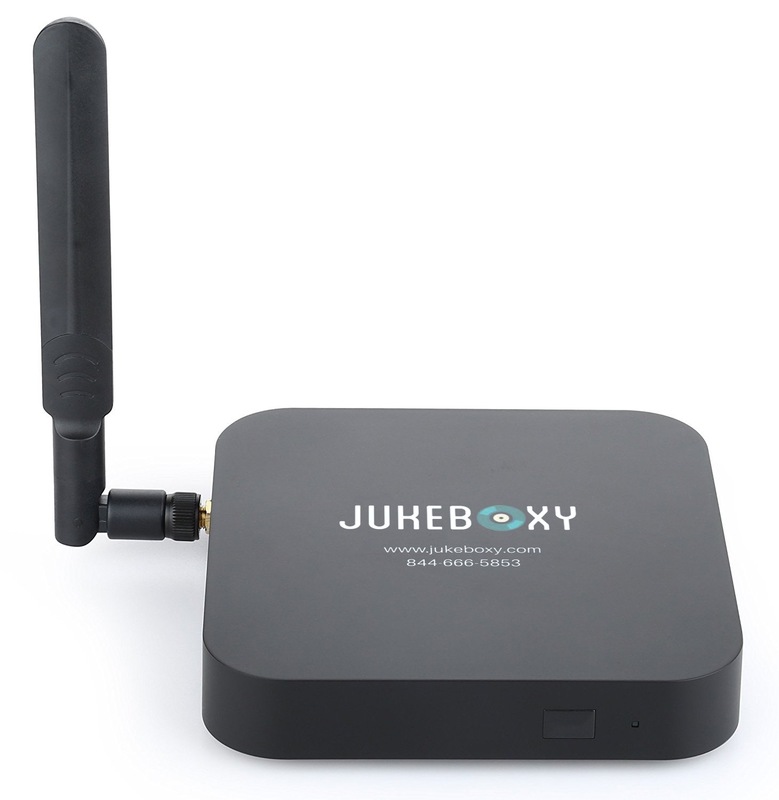 Even if you loose internet connection at your venue, music will not stop with Jukeboxy's state-of-the-art technology. Let Jukeboxy run itself while you focus on your business! You can stream Jukeboxy Music through your Sonos Speaker System by simply adding our service to your Sonos App. You can play your weekly auto-schedule or push a single playlist from hundreds of professionally curated playlists. 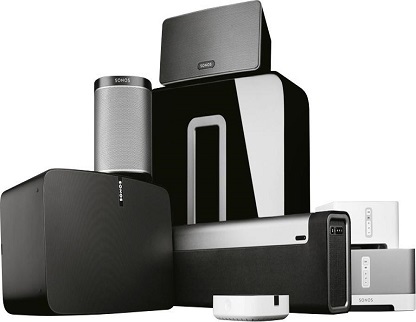 You can achieve high-quality music at your business with Jukeboxy x Sonos Speaker System integration. "Jukeboxy made having good music not only painless but enjoyable. From installing equipment to curating incredible playlists, they did the work so we could focus on running the business. Will definitely recommend to anyone needing a music solution." Customize your brand experience with Jukeboxy! make it easier to achieve the perfect music for your business. Download, set up, and hear Jukeboxy playing within minutes! Be hands on and customize OR let Jukeboxy run itself! Get Jukeboxy Music for only $24.95 a month. ©2014 Jukeboxy. All rights reserved.